Hi everyone, it’s Kimberly with Get Away Today, here to talk to you about The Happiest Place on Earth. Although I’m sad that summer nights, pool parties and warm weather are beginning to fade away, I couldn’t be more excited about the most spooktacular time of year at the Disneyland Resort. Halloween Time has officially begun and it’s bigger, better and more “boo-tiful” than ever before! Whether you’re an eerie expert or are heading to your first fright, keep reading to discover my ultimate guide to 2018 Halloween Time at the Disneyland Resort. Space Mountain Ghost Galaxy: This beloved attraction takes hair-raising turn during Halloween Time at the Disneyland Resort. Here, you’ll be chased by a space phantom as you race through the star fields, meteors and more. Since this ride overlay is creepier than others, I would recommend riding it before your little ones to test out the waters. Haunted Mansion Holiday: Based on the beloved Halloween classic, “A Nightmare Before Christmas” the Haunted Mansion transforms into Haunted Mansion Holiday as Jack Skellington and his Halloween Town friends take over.With new characters, music and surprises around every corner, this ride overlay has always been one of my absolute favorites. Guardians of the Galaxy: Monsters After Dark: California Adventure’s newest ride overlay is quickly becoming the most popular too. Guardians of the Galaxy: Monsters After Dark takes you on an adventure to save Groot, who was accidentally left behind during the first escape. However, once the sun sets, the Collector’s Fortress is filled with monsters, creatures and ghouls around every corner. As a tip, I’d recommend getting a FastPass for this attraction as soon as it’s available. Since it’s a fan-favorite ride overlay, you won’t want to wait in the long lines! Mater’s Graveyard Jam-BOO-Ree & Luigi’s Honkin’ Haul-O-Ween: In Cars Land, you’ll be able to find two Halloween ride overlays that will be sure to get you in the Halloween spirit. Both Mater’s Junkyard Jamboree and Luigi’s Rollickin’ Roadsters will transform into Mater’s Graveyard Jam-BOO-Ree and Luigi’s Honkin’ Haul-O-Ween. With brand-new festive music and décor, these attractions should be at the top of your to-do list, especially if you have little racecar drivers. 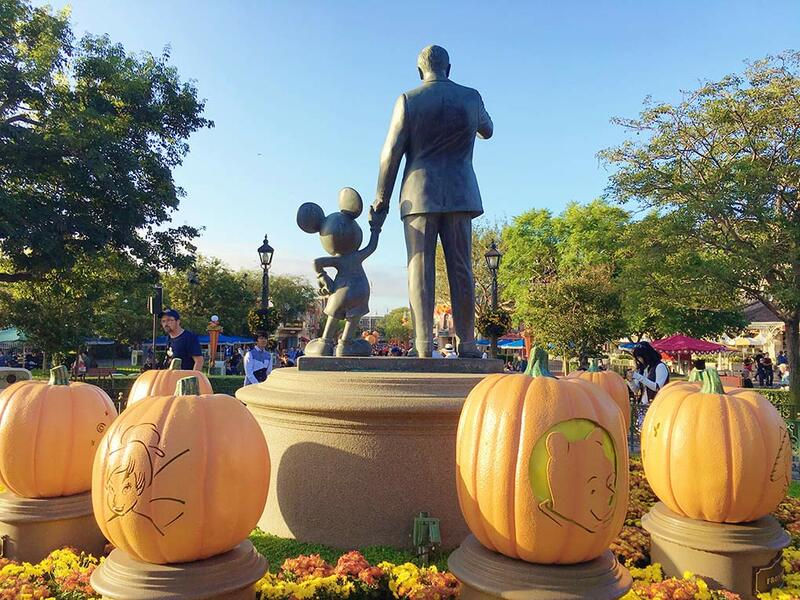 Disneyland Park Entrance – Disneyland Park: As you’re about to enter The Happiest Place on Earth, you’ll be able to see adorable Disney pumpkins and décor above the ticket turnstiles. This is the perfect place to get a photo of you starting your spell-bound day! Main Street, U.S.A. – Disneyland Park: Is anything cuter than the giant Mickey pumpkin on Main Street U.S.A? I don’t think so! This is why Main Street U.S.A. is one of my favorite photo spots for Halloween Time. Not only can you snap a pic in front of the Mickey pumpkin, but you can also enjoy all of the festive bunting and décor throughout the street as well. Día de los Muertos – Disneyland Park: In Frontierland, you’ll be able to be immersed into a special tribute to Dia de los Muertos during Halloween Time at the Disneyland Resort. This annual Mexican celebration remembers loved ones, while celebrating and embracing an eternal connection. 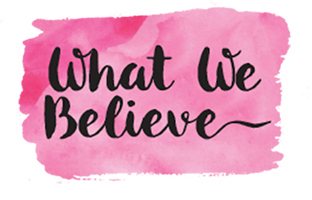 Here, you can enjoy musical entertainment, brightly colored décor, face painting and more. It’s safe to say that I’m going “Un Poco Loco” over this wonderful event! Haunted Mansion Holiday – Disneyland Park: “Boys and girls of every age, if you want to see something strange, come to Haunted Mansion Holiday and you will see, this our town of Halloween!” As mentioned previously, Jack Skellington, Sally and the Halloween Town gang take over this cherished attraction during Halloween Time. Not only do they transform the interior, but they also put up special décor on the outside as well. 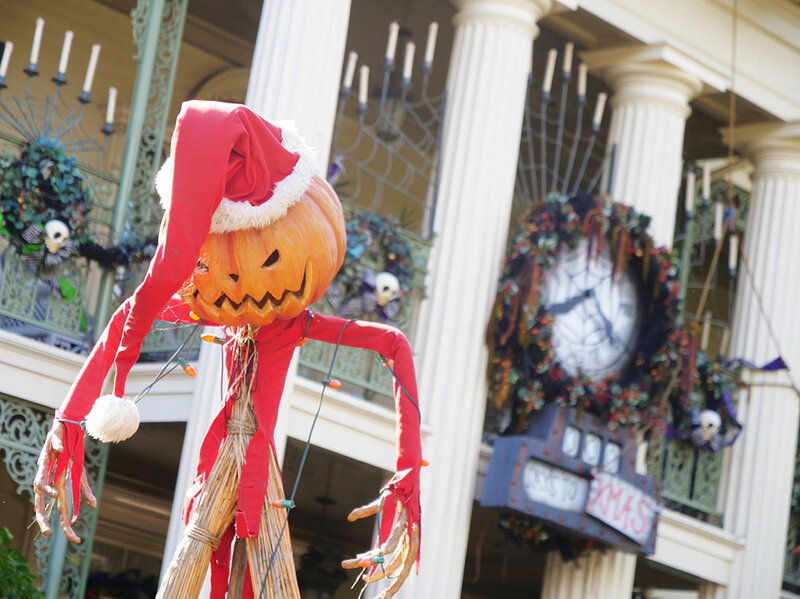 If you’re looking for a spooky photo spot, Haunted Mansion Holiday is the perfect location. Disney California Adventure Park Entrance – Disney California Adventure Park: As you walk into Disney California Adventure Park, you’ll be able to see Oogie Boogie from The Nightmare Before Christmas welcoming you into the park. The best part? He interacts with guests! I’ve loved this Halloween Time addition since they debuted it last year. Buena Vista Street – Disney California Adventure Park: On Buena Vista Street, you’ll be able to see festive bunting, bats fluttering around Carthay Circle and spooktacular wonders around each turn. Make sure you don’t miss the Headless Horseman statue located at the end of Buena Vista street for the most petrifying photo of all. 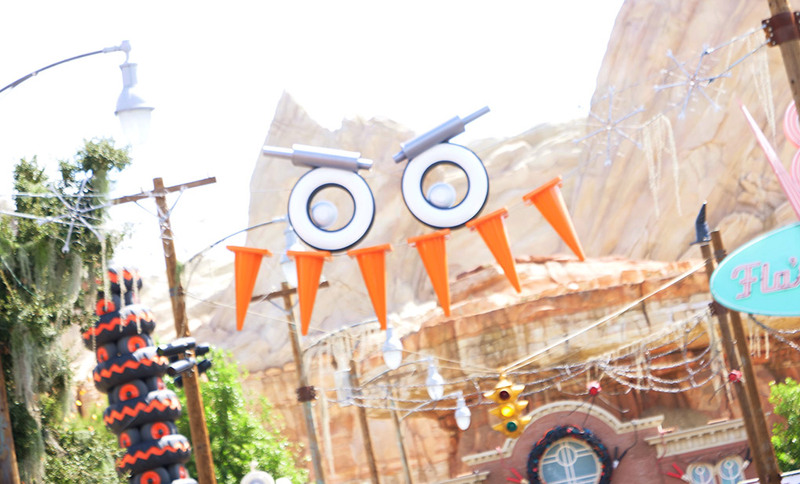 Cars Land – California Adventure Park: The quaint town of Radiator Springs gets a boo-tiful makeover as it transforms into Radiator Screams. 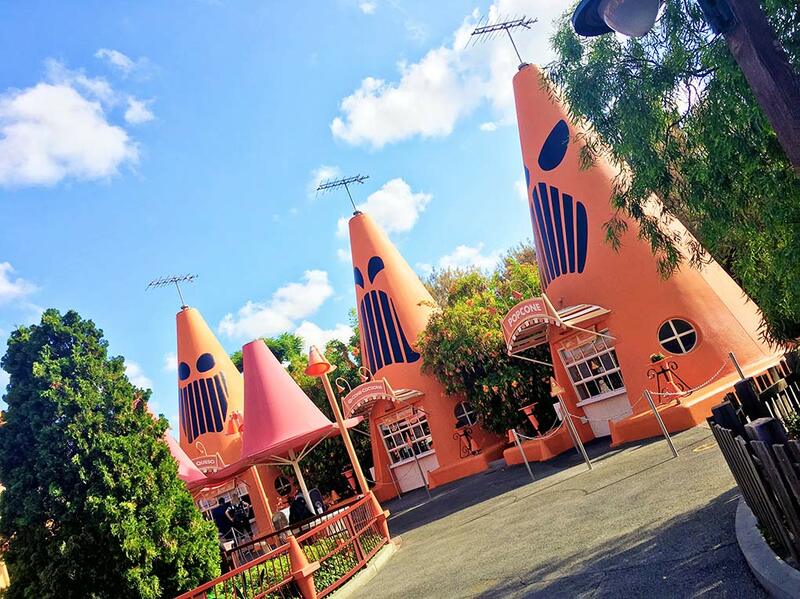 With a brand-new welcome sign, Cars characters dressed up in Halloween Garb and adorable décor, you can easily get a few insta-worthy photos in this location. It wouldn’t be Halloween Time if there wasn’t any delectable treats and savory eats. Fortunately, the Disneyland Resort has outdone themselves for 2018. 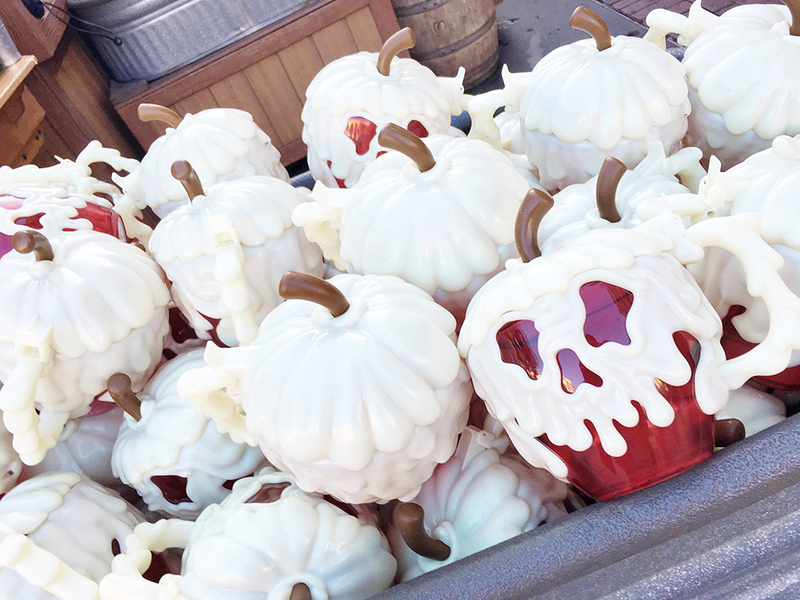 Below, I’ve listed just some of my favorite seasonal foods you can find this year in both Disneyland Park and Disney California Adventure Park. If this list of goodies doesn’t make you want to head there right now, I’m not sure what will. Of course, Mickey’s Halloween Party is a large part of the Halloween Time celebration. This separate ticketed event provides guests with trick-or-treating, frightfully fun entertainment and exclusive character meet and greets. The best part? The entire family can dress up to enjoy the mystical evening! If you want to attend Mickey’s Halloween Party, you’ll need to purchase tickets through the Disneyland Resort website directly. Prices can range from $115 – $130 per person for the party, so this is something to consider when you’re planning out your magical vacation. If you weren’t able to get tickets to Mickey’s Halloween Party this year, don’t fret! 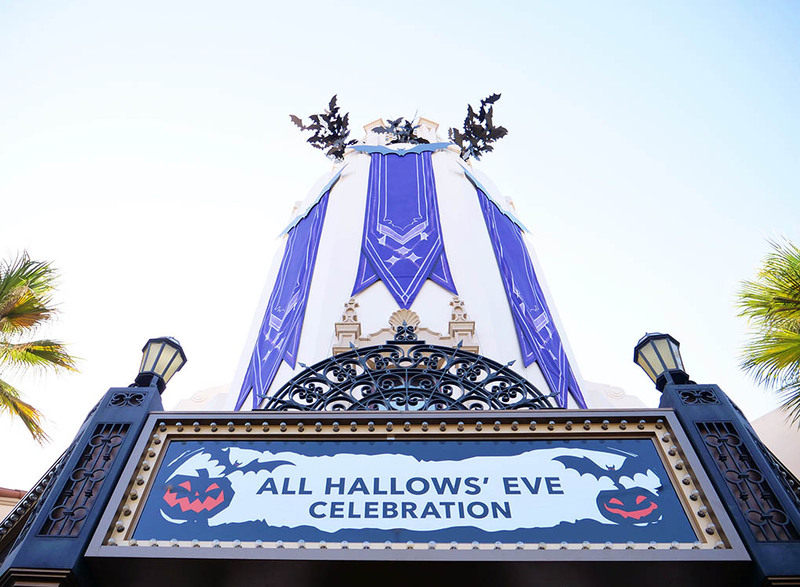 Halloween Time at the Disneyland Resort is still filled with tricks, treats and a whole lot of magic for everyone. As a tip, make sure you purchase a Park Hopper ticket. This way, you can head on over to Disney California Adventure Park as soon as they start to close down Disneyland Park for the party. It’s a win-win for everyone! It’s no surprise that Halloween Time at the Disneyland Resort is a popular time of year to visit. However, don’t let this deter you from going! There are SO many ways to beat the crowds and save time, so you can focus on having the most magical vacation yet. My first tip is to take advantage of MaxPass. With MaxPass, you can reserve FastPasses directly from your mobile device instead of running around both parks. Plus, it also includes PhotoPass, which means that you can take advantage of all of the photo spots I mentioned before. Although this feature is $10 per person, per day, it’s worth every. single. penny. Don’t forget to take advantage of Mobile Ordering while you’re there too. With Mobile Ordering, you can easily order food from your phone, cut the line and enjoy your delicious meal without the long wait. There are 18 different restaurants in both Disneyland Park and Disney California Adventure Park, so there is something for everyone to enjoy. The best part? This is completely FREE to use! Last, but certainly not least, make sure you take advantage of our 5th Day Free Disneyland Ticket offer. With so much to see and do during the most spooktacular time of year, you won’t want to miss out on any of the fun. With our 5th Day Free ticket offer, you can purchase a 5-Day Park Hopper for the price of a 4-Day ticket. This means you get an extra day FREE to experience all of the frightful fun. As you can see, Halloween Time provides fun, thrills and magic for everyone. To book your Halloween Time vacation, visit our website getawaytoday.com or call one of our travel experts at 855-GET-AWAY. Don’t forget to mention promo code CraftingChicks to get an additional $10 off your vacation package. Let them know that Crafting Chicks sent you!